Eckerd College remained the nation’s top producer of National Oceanic and Atmospheric Administration (NOAA) Ernest F. Hollings Scholars this year with six students from the Class of 2020 joining the ranks as award recipients. Clockwise from top left: Eliza Mills, Herbert Leavitt, Justin Chandler-Holtz, Brianna Matthews, Rosemary Burkhalter-Castro and Tristan Shonat will represent the Eckerd College Class of 2020 as NOAA Hollings Scholars. The College has now produced 80 Hollings winners since the award was established in 2005. Marine science majors Rosemary Burkhalter-Castro, Justin Chandler-Holtz, Herbert Leavitt, Brianna Matthews, Eliza Mills and Tristan Shonat will receive up to $9,500 in scholarship funding and a summer internship at a NOAA facility. “I applied for the Hollings to learn more about research and get a chance to work toward my dream of working in conservation,” said Leavitt, of Avery Island, La. The Hollings Scholarship—awarded to college sophomores—was named after a retired U.S. senator from South Carolina who served 38 years and spearheaded “practical conservationism” laws to protect America’s coastlines and oceans. 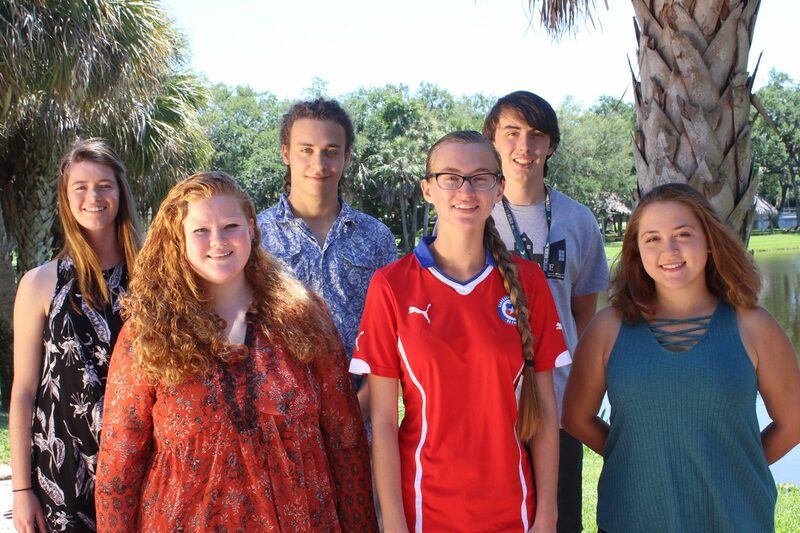 Being at Eckerd afforded these six students a better-than-average chance of receiving the scholarship, and many prospective students name it as a reason why they chose Eckerd over other institutions with respected Marine Science programs. “Eckerd was one of the top-ranked marine science schools in the country, and it gave me the best scholarship opportunities,” said Burkhalter-Castro of Littleton, Colo.
Each Hollings Scholar will get a chance to expand his or her research experience by spending a summer in a laboratory with real NOAA scientists. “I applied for the Hollings because I have greatly enjoyed previous marine research projects and would like to do more,” said Chandler-Holtz of Brunswick, Ohio. Both Mills of San Antonio, Texas, and Matthews of Ashburn, Va., are hoping the scholarship will be a launching pad into future careers in research and conservation. “I hope to change the way the world views the ocean and to promote the conservation of marine species. I want to work in coral rehabilitation or general research surrounding the effects of climate change,” Matthews explained.